A pop/rock band they might have been, but the Hollies had far more going for them than most of the British Invasion outfits that prospered in the wake of the Beatles. The band was notable among other reasons for the three-part Everly Brothers-inspired harmonies of lead singer Allan Clarke, guitarist Graham Nash and lead guitarist Tony Hicks, all of whom penned some of the group's material, not to mention Hick's ringing, often innovative licks, the superb drumming of Bobby Elliott, and the hit song contributions of outside composers such as Graham Gouldman. Between 1963 and 1968, the Mancunian band that took its name from Buddy Holly scored time and again with the likes of 'Here I Go Again', 'I'm Alive', 'Look Through Any Window', 'Bus Stop' (the group's American breakthrough), 'Stop! Stop! Stop! ', 'Carrie-Ann' and 'Jennifer Eccles'. When Graham Nash, feeling constrained by the Hollies' commerciality, departed to form Crosby, Stills & Nash, guitarist/vocalist Terry Sylvester filled his shoes and the band had further hits courtesy of 'Sorry Suzanne', 'He Ain't Heavy, He's My Brother' and 'Long Cool Woman (In A Black Dress)'. 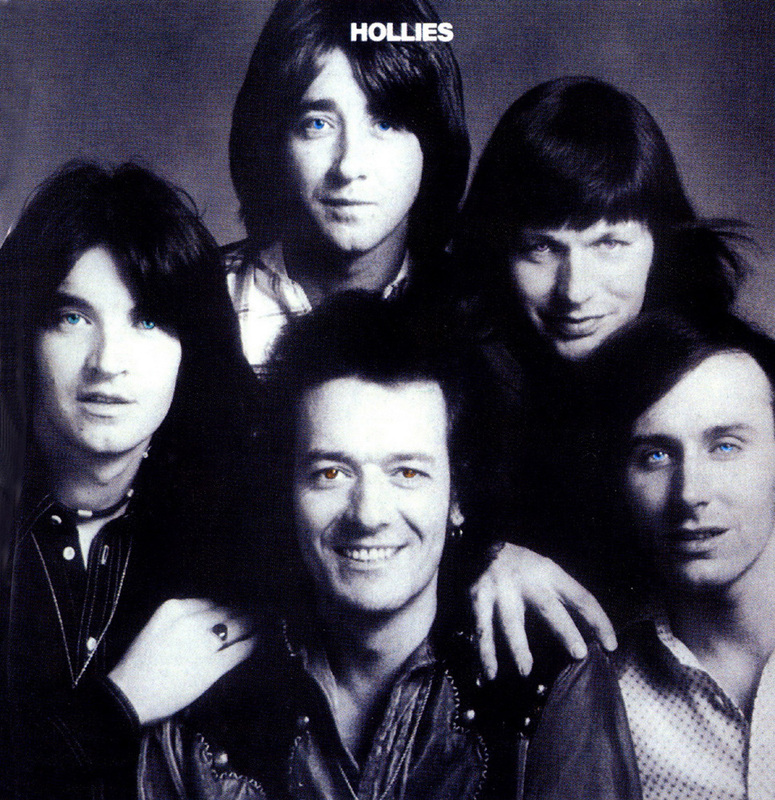 By 1973, however, the Hollies' best days were firmly behind them... save for one remarkable exception. 'The Air That I Breathe', written by the team of Albert Hammond and Mike Hazelwood, was one of pop's all-time finest ballads. Hammond, who before Hazelwood's death in 2001, co-wrote with him for artists like Johnny Cash and Olivia Newton-John, recorded 'The Air That I Breathe' for his 1972 album It Never Rains In Southern California, and the following year Phil Everly covered it for his Star Spangled Banner long-player. It was the Everly version that producer Ron Richards, the man who'd signed the Hollies to EMI back in 1963, then brought into EMI Studios at Abbey Road for the band to work from. Alan Parsons had been on staff at EMI for several years, and assisted and engineered on projects such as the Beatles' Let It Be and Abbey Road, Paul McCartney's earliest albums with Wings and, most famously, Pink Floyd's legendary Dark Side Of The Moon, not to mention a number of previous Hollies albums dating back to 1969's curious Hollies Sing Dylan venture, which had convinced Graham Nash to quit rather than get involved. 'The Air That I Breathe' was the sole standout on 1974's Hollies, among tracks like 'Rubber Lucy', 'Transatlantic West Bound Jet' and 'The Day That Curly Billy Shot Down Crazy Sam McGee', but the album was important to Parsons, at least, as the first to be engineered solely by him. While the Hollies album was recorded in all three of EMI Studios' facilities — "At that time, nobody seemed to mind chopping and changing," Parsons remarks — the bulk of 'The Air That I Breathe' was tracked in Studio Three, whose control room at that time housed a 24-channel Neve console, Studer A80 tape machine and JBL 4320 monitors. The band was set up in the live area. The mix took place in Studio Three, and again this was a formal process. "We'd sit down and go 'Right, we're going to mix this song today,'" says Parsons. "However, we probably wouldn't spend more than three hours on it. I remember in the case of 'The Air That I Breathe', the master machine that we mixed to had some kind of speed fluctuation problem. It might have been slipping on the capstan or something, but I actually took the master to a second generation and did a bit of pitch correction on it, which was quite daring, I suppose." Released in early 1974, 'The Air That I Breathe' was a worldwide smash, peaking at number two in Britain and number six in the States. It would be the Hollies' last major hit single.